25 Australian dollars is a series of coins from precious metals for collection and investment purposes. 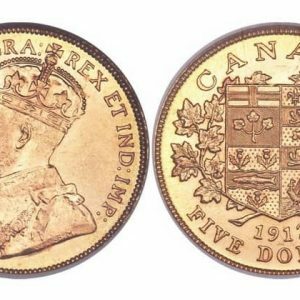 The Mint issues each item in a limited edition (from 1,000 to 5,000 in a particular year). 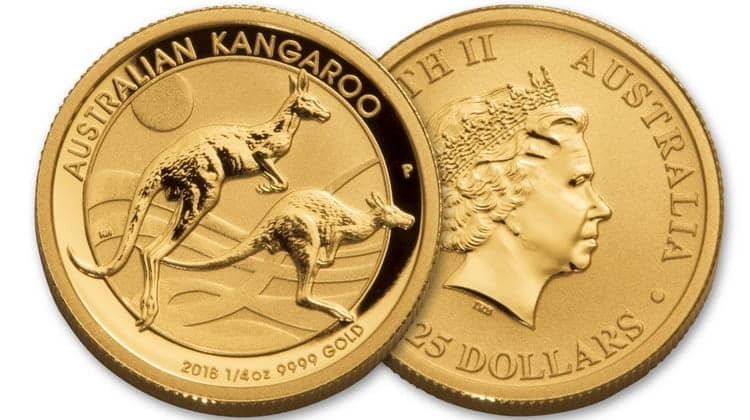 Australian gold coins of the Lunar series and Australian coins of the Gold Nugget series are the most famous and valuable in the world of numismatics. The first coins of 25 Australian dollars were minted in 1992. Silver collectible series “Outstanding Personalities” is dedicated to the 40th anniversary of the reign of Catherine II. In total, four types were issued. The recognizable image of the Queen in different years of her life is on the reverse of each of them. Investment and collectible coins from precious metals are made in “Proof” quality. They are made in an individual mode with a high share of manual labor. They have a mirror surface and a multifaceted design. 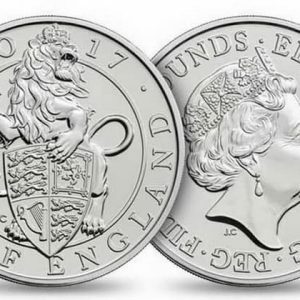 2015 – 90th Anniversary of Queen Elizabeth the Second. In 2002, the first coin of 25 Australian dollars from the limited “Lunar” series was issued. It is minted of gold with a fineness of 0.999 and is dedicated to the symbol of the year according to the Eastern calendar – horse. In 2003, a coin with the image of a goat was minted, 2005 – rooster, 2007 – pig, 2008 – rat, 2009 – ox, 2010 – tiger, and 2012 – dragon image. Other versions of this theme are found on the15 dollar coins (this collection also contains Australian silver coins of the Lunar series) and 100 dollars denomination. Experts of the Mint of Perth worked on their creation. Do you know? 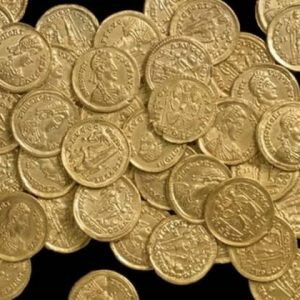 Popular Australian gold coins of 25 dollars face value are issued at the Mint of Perth. This enterprise is the largest in the country to produce the items from precious metal. During a year, about 18 billion dollars in gold, silver, and platinum coins are exported from here to more than 100 countries. Perth Mint is a part of a limited group of gold mining companies accredited on the five largest gold exchanges. Their products meet all existing standards of high quality. 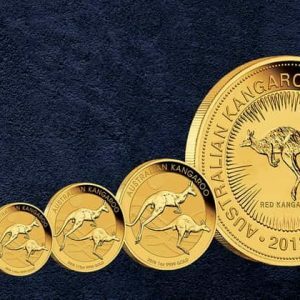 The most popular collectible and investment coins of 25 dollars denominations are Australian gold coins of the Kangaroo series. There were several versions issued at once for collectors and investors: flawlessly executed coins with different designs in 2007, 2008 and 2009. These coins are appreciated all over the world for excellent quality of minting and constantly changing design. In 2013 the gold collection of coins with a face value of 25 dollars was enriched by a new series “The Earth upside down”. The circulation is limited, only 1,000 copies. The circulation includes copies dedicated to the national symbols of the country “Surfing”, “Didgeridoo” (national wind instrument of the aborigines of Australia), James Cook, “Gold washing” and “Shepherd”. The name “didgeridoo” was given to the musical instrument by the inhabitants of Australia, but the aborigines themselves call it the Yedaka. The basis is made of eucalyptus wood. They take a trunk that was eaten inside by termites. Then the instrument is decorated with paintings and images of local animals. There is no identical didgeridoo in the country. In 2014, the first Australian coin with a face value of 25 dollars dedicated to military affairs was issued. There were only 1,000 copies with the famous phrase from the speech of Prime Minister Andrew Fisher during his election campaign “To Our Last Man and Our Last Shilling”. Military theme was supplemented by the coins minted in 2015 with a circulation of 1,000 copies. It is easily recognizable by the head of the ghost and the red poppy. At the top, there are inscriptions “1915 ~” “Goodbye Cobber. God bless you”; the mint mark “R” is to the left. In 2016 and 2017, ANZAC coins were issued dedicated to the military formation of Australia and New Zealand. Do you know? ANZAC remains one of the most significant dates in the military history of Australia. 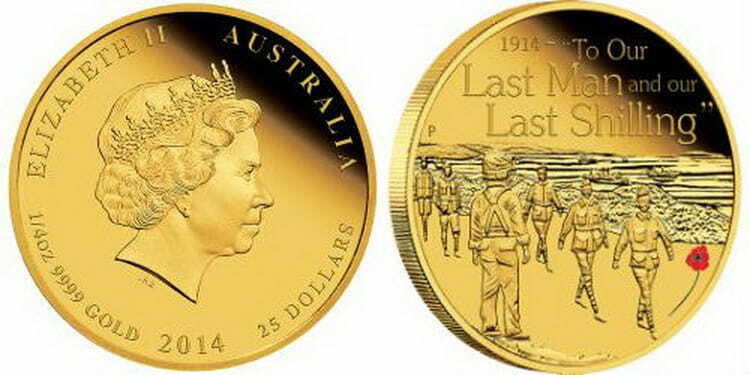 Commemorative coins of the $ 25 series are dedicated to Australian and New Zealand soldiers who showed courage and self-sacrifice in Gallipoli in 1915. Every year on April 25, Australians pause to remember the men and women who fought for the freedom of the country. Ceremonies in the temples are held at dawn, at the time of the first Gallipoli landing, and then marches and meetings are held in all major cities. The obverse of the Australian 25 dollars coins from the Lunar series represents the work of a talented engraver Ian Rank-Broadley («IRB»). Reverse: running horse; year of minting 2002; Chinese hieroglyph; inscription «1/4oz 9999 GOLD». 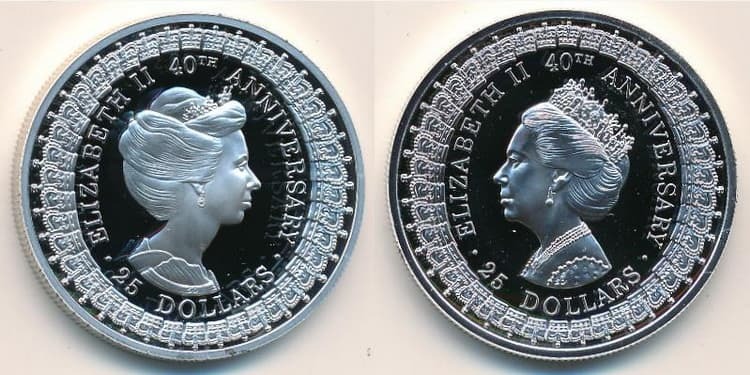 Obverse: legend: «ELIZABETH II», «AUSTRALIA», «25 DOLLARS». Reverse: goat with a turned head; year of minting 2003; Chinese hieroglyph; inscription«1/4oz 9999 GOLD». Reverse: rooster; year of minting 2005; Chinese hieroglyph; inscription «1/4oz 9999 GOLD». Reverse: pig; year of minting 2007; Chinese hieroglyph; inscription «1/4oz 9999 GOLD». Reverse: rat; Chinese hieroglyph; inscription «Year of the Mouse». Reverse: ox; Chinese hieroglyph; inscription «Year of the Ox». Reverse: head of a tiger; Chinese hieroglyph; inscription «Year of the Tiger». Reverse: dragon in Chinese style; Chinese hieroglyph; inscription «Year of the Dragon». Gold coins of the Lunar series were issued in a circulation of 7,000 copies. Items with the symbols of Australia – kangaroos (250 copies in 2014) and koalas (1,000 copies) are rarer ones. The remaining versions of collectible and investment 25 Australian dollars are minted in 1,000 copies. “The Earth upside down” – from 400 $.